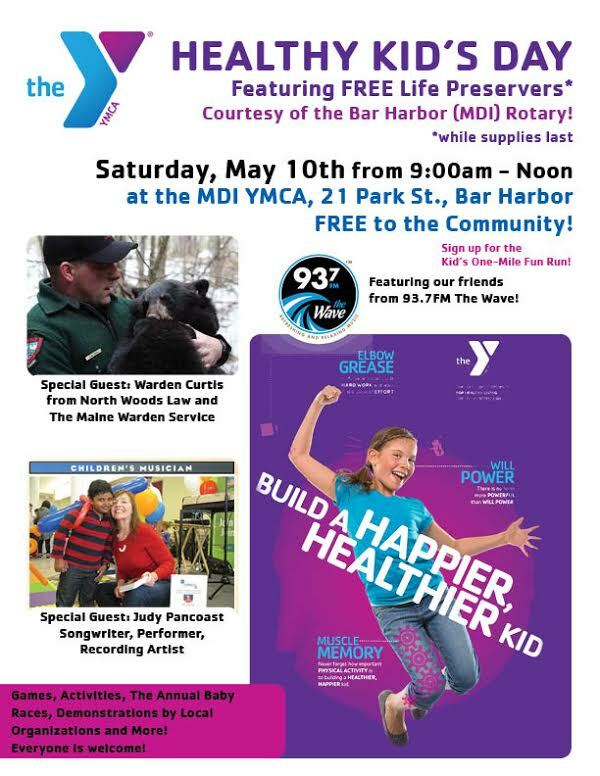 MDI YMCA Presents Healthy Kids Day on Saturday, May 10th, from 9:00am – 12 noon. This free, national YMCA event features demonstrations, presentations and activities promoting healthy lifestyles for kids and their families. Featuring special guests and fun for all ages. Please see attached flyer for more details or call 207-288-3511 for more information!